San Francisco is a home to a vast array of cultures. 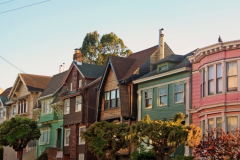 From world renowned chefs to historical trolley cars to the many unique shops of Haight-Ashbury, San Francisco has a vast array of experiences for you to take part in during your visit to this iconic city. Here you can experience a variety of cultures coming together in a mix-and-match atmosphere not seen in most cities. Discover all this city has to offer; From music to art exhibits, sea life to history, night life to culinary adventures. 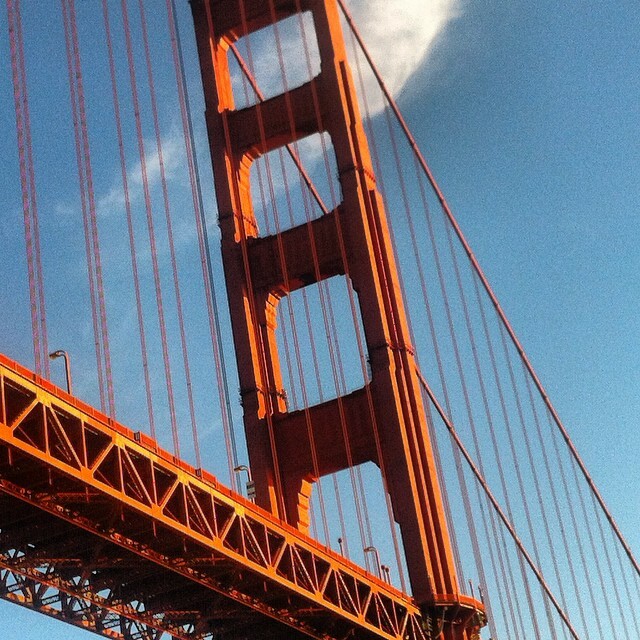 Explore the Muir woods, the Golden Gate Bridge or one of the many other options in this amazing city. 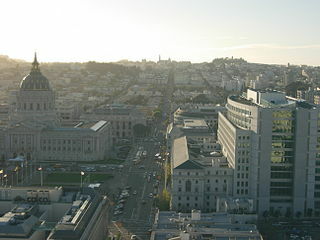 Our meeting in San Francisco, USA will take place at the The Fairmont Hotel at the top of Nob Hill. This boutique property has a AAA Four-Diamond distinction, and is the city's most recognized, iconic hotel. From the grand stair case to the art work, you may find yourself swept away by the grandeur of this elegant 606-room hotel. We will address interesting, timely and intellectually stimulating issues affecting our local and international practices including; Parental gatekeeping; ART/Surrogacy around the World; Brexit and its effect on family law; Forced Marriage: An Update; Property Distribution and Support trends on the West Coast; and Saturday's cultural session. The dress code is casual for our San Francisco Meeting. Cocktail attire for the President's Dinner is recommended. 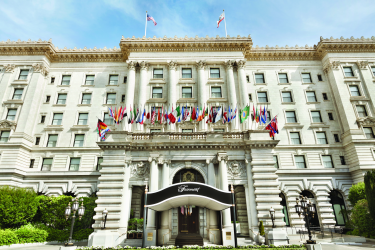 Fairmont San Francisco presents an awe-inspiring picture of historic San Francisco. The grandeur of the fully-restored hotel coupled with its reputation for impeccable service promises a truly memorable experience. Central to the Financial District, Union Square and Fisherman's Wharf, the Fairmont Hotel is located at the only spot in San Francisco where each of the city's cable car lines meet. Fairmont also offers two fabulous restaurants and lounges. 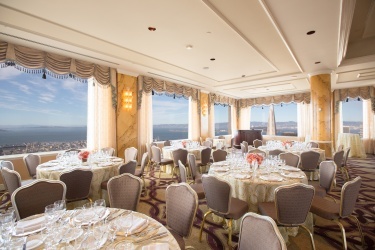 With a panoramic view of the city and the day from high atop Nob Hill, Fairmont San Francisco holds an unmatched blend of elegance and superb service for an unforgettable stay. Because this is an historic property, there are a variety of room types and very few, if any, are the same. The main hotel rooms are built for travelers from the 1900s so some rooms have closets as large as the bedroom for all those steamer trunks. The tower rooms give you the best view of the city. Occupancy tax remains at 14.585%. (subject to change). The Business District Assessment Fee (T.I.D.) 2.25%..
Board Buses at 1:45 p.m. The perfect introduction to the city of San Francisco. Let our professional tour guides take you on a fun-filled journey through vibrant neighborhoods such as; North Beach; Chinatown; Fisherman's Wharf; Ghiradelli Square; Union Square; The Embarcadero' and historic areas of the city by the bay. 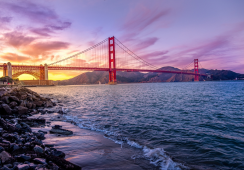 Some of the famous sights you will see up close may include the Transamerica Tower, Coit Tower, the Ferry Building and the iconic Golden Gate Bridge. Meet in Lobby at 8:45 a.m. 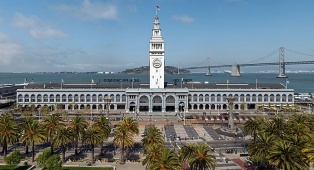 Located on the waterfront, The Ferry Building with its dramatic clock tower on top of the building has been an icon of San Francisco since the turn of the century. This historic hub – reimagined for modern times – is an elegant San Francisco showcase for some of the Bay Area's best food artisans, and features internationally acclaimed cheese, charcuterie, and chocolate. 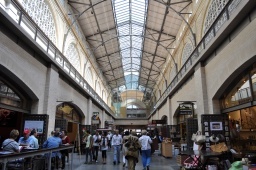 Your epicurean concierges will lead you on a private tour of the wonderful gourmet specialty food stores in the Ferry building. Learn about the famous farmers, celebrity chefs, and culinary creators behind these edible delights. Bottled water on coach. Note: Meet in Gold Room for Lecture at 12:00 p.m. The speaker before the Alcatraz Tour, Jolene Babyak, is the daughter of the prison's associate warden and lived on the island for nine years. Please make sure to pickup your box lunch to eat during the speaker's presentation before we take the 10 minute drive to the ferry. Located within a national park, San Francisco’s Presidio Golf Course is renowned for its spectacular forest setting, as well as its challenging play. Once restricted to military officers and private club members, today the 18-hole course is open to the public. John O'Connor who is filling in for Ken Altshuler our regular Golf Chair, has reserved tee times beginning at 1:00 p.m. on Thursday, May 16. Those with a competitive spirit can compete in with recognition for men's and women's longest drive and closest to the hole. Club rental will be available at the course for $50. If you have questions on Golf contact John O'Connor at johnpoconn@msn.com or call +1-415-606-4616. Meet in Lobby at 6:45 p.m. 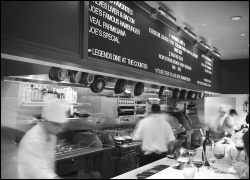 The first Original Joe's was established in San Francisco by Louis Rocca and Tony "Ante" Rodin in 1937; it is currently owned and managed by Rodin's grandchildren. Located in the North Beach Neighborhood, it has won a myriad of awards and accolades over the years, including; the San Francisco Chronicle's Five Favorite Burgers in 2018; SF Gate's Most San Francisco Restaurants; and American City Business Journal's San Francisco's 5 Favorite Restaurants in 2017. 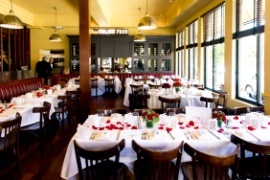 Enjoy an evening with Fellows and their guests at a variety of wonderful restaurants. Dine Arounds are here! Click here for the options. We are looking forward to being with everyone in San Francisco in just a few weeks! We have, for the last several years, arranged dine arounds which have proven to be a terrific way to spend time with friends and fellows from around the world. The groups are small, between eight and twelve this year, and we have reservation at some of the most iconic and fun places in the city. We even have reservations at one restaurant that ordinarily doesn’t take reservations! So whether your desire is Vietnamese, Chinese, Italian or American, we have something to suit everyone’s fancy. Please sign up quickly and only by responding to my associate, Christina Vineyard (christina@crewlawgrouppc.com) and my law clerk, Ashley Williams (ashley@crewlawgrouppc.com) so we can keep accurate records. Once we are full, we are full. We will try to accommodate others, but we cannot make any promises. Board Buses at 7:45 a.m.
You will see the many sights in the famous Golden Gate Park, which covers over 1,000 acres and is larger than New York's Central Park. Filled with museums, gardens, trees, lakes and wildlife, it's easy to see why this park is the third most visited park in the United States. 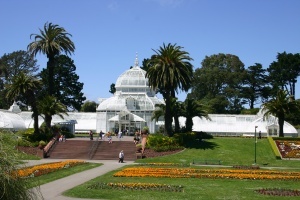 Golden Gate Park is also home to two of San Francisco's premiere museums, the De Young Art Museum and the California Academy of Sciences. Tours of the De Young Museum will be led by a VIP Docent. Located within minutes of each other, guests can enjoy a morning at their leisure amongst nature and art! Meet in Lobby at 12:45 p.m.
One really can't appreciate the size and height of the Golden Gate Bridge unless they've walked on it! At mid-span you are 220 feet above the water's surface, and passing ships below look like small toys. The walking tour of the Golden Gate Bridge starts at the Strauss Statue with a discussion on the history of the bridge. While on your walk you will enjoy the spectacular views of the Bay and the Cityscape from new heights. Guests will learn who named it, how the structure cheated the law of concrete and steel, and what members of the Halfway to Hell club did to join it. The 1.7 mile walk will end at Vista Point where guests can take front row pictures of San Francisco (There will be the option to ride across the bridge instead of walking). 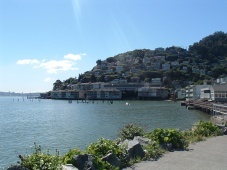 Next it's off to the charming city of Sausalito where guests will enjoy free time on their own to explore. Then it's back to the city via a beautiful ferry ride across the bay! Board Buses at 12:45 p.m. 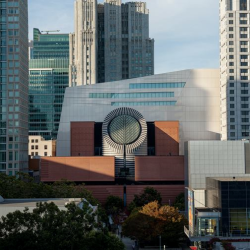 The San Francisco Museum of Modern Art (SFMOMA) recently re-opened in May 2016 to excited fanfare after a three-year closure. Designed by renowned architecture firm Snøhetta, the newly transformed and expanded museum showcases it's celebrated collection over ten stunning floors. The group will start off with a guided tour then have 1.5 hours to explore the gallery on their own before being bused back to the hotel. Join Jorge Cestero, IAFL USA Chapter President and Sarah Boulby IAFL Canadian Chapter President for a cocktail reception, delicious dinner, and superlative entertainment. The Crown Room is on the top of the Fairmont Hotel Tower. Enjoy 360 degree views of the city from the highest point in the city. Full refund of registration fee if cancellation occurs before 12th of April 2019 less $100 administration fee per person (credit card costs and expenses of the administrator). No refund of registration fees thereafter. Tour and event fees are refundable if cancellation occurs before 12th of April 2019 only if the Academy is not charged. Send your email request to cathy@bestmeetings.com by this date. You may substitute another person without penalty. Hotel cancellation policy is 24 hours prior to the day of arrival. The IAFL USA and Canadian Chapters Meeting has various sponsorship opportunities. Please click on the link below to see the opportunities. UC Hastings Law's International Family Mediation training is being online May 6 and then in person on May 20th at the UC Hasting Campus. For more information follow the link below. https://www.oaklandairport.com/ Oakland Airport (OAK) is 19 miles from the hotel. https://www.flysanjose.com/ San Jose International Airport (SJC) is 51 miles from the hotel. "Row Homes of San Francisco" Artist Credit Cristie Guevara License CC0 Public Domain. "Alcatraz Lighthouse view, San Francisco, CA, USA" - Veselina Dzhingarova CC Attribution 2.0 Generic license.